New Secret Codes for 100 Rox and Scare Bear! Hey everyone, today I have two new Moshi Monsters codes, first on the web for 100 Rox and a Scare Bear! Looking for more secret codes? Click here for over 430 more codes! We hope you like these codes! Did you use them? Comment! Hey everyone, today I have two new Moshi Monsters codes, first on the web for 150 Rox and an ‘Ice Scream’ Lamp! Hey everyone, today I have some new codes for 200 Rox and a Cloud Chair! We hope you like these codes! Did you use them? What did you think of ShiShi’s music video? Let us know in the comments! The Great Twistmas Giveaway – Christmas Codes 2014! The Great Moshi Giveaway has ended! The event seen Moshi release one new secret code each day from December 18th to January 5th – meaning 19 codes! Please continue reading for the codes! FIFTY New Moshi Monsters Secret Codes!!!!! MUST SEE! Looking for more secret codes? Click here for over 300 more codes! Have you used all the codes? Enjoy them all guys! 50 Brand new codes fresh from the Moshi Monsters Magazine! Some of these items were previously really exclusive and rare, so now you can get them, these will be added to the MME Codes page! Hope you all enjoyed! Stay tuned to MME, as we bring you the latest secret codes (Especially when there is 50 brand new ones), and all the latest Moshi Monsters news! Moshi Mission – Lost in Hong Bong Mission is Back! 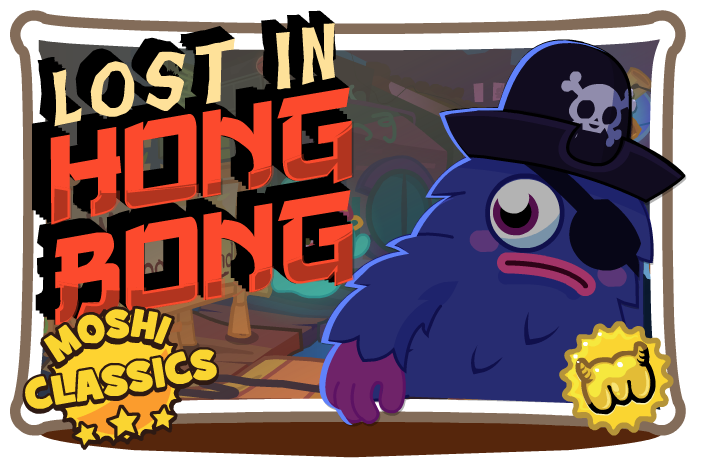 Hey guys, today Moshi have released another Moshi Classics mission – Lost in Hong Bong. It’s been brought back for new players, but I am sure the older players have heard or even played it back when it was first released in January 2013! Anyways, Moshi is beginning to bring back the older one month lasting missions. They will only be back once in a while, so play them now while you can because we don’t think they’ll be back for a while! The only other re-released ‘Moshi Classics’ Mission is Freezy Rider. Unfortunately, only Moshi Members can play this mission. 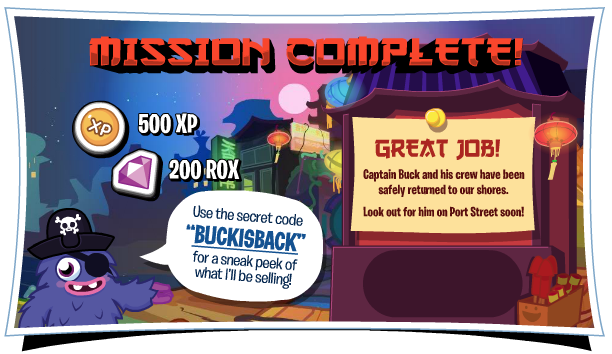 In this mission, you will have to travel to Hong Bong island to help save Captain Buck! Mission Rewards: 500 XP and 200 Rox. (No Moshling). Pretty awesome, huh? Have you played the mission already? What do you think – let us know down below in the comments!